"Result on 29th March 2015"
Passed 10th class examination under 10+2 system of education with Science as one of the subject or its equivalent. Student who has passed 10th class is eligible for admission in ITI. The target point of opening with ITI is provide technical manpower to industries.These persons are trained in basic skills required to do jobs in technical fields. The course in ITI is designed according basic skill in the trade specified. The duration of course may vary from one year to three years depending upon trade opted. After completion of desired period of training the person is eligible to appear in the AITT ( All India Trade Test ) conducted by NCVT( National Council for Vocational training ). After passing AITT, the person is awarded NATIONAL TRADE CERTIFICATE (NTC)in concerning trade by NCVT.ITI courses are available according to streams and can do also ITI courses after 12th commerce without maths. Vishwakarma I.T.I. Dehri On Sone has established a Placement Cell in the Institution under the direct control of the Principal. Vishwakarma I.T.I. Dehri On Sone has also organised a training for all our student under the direction of our technical team. 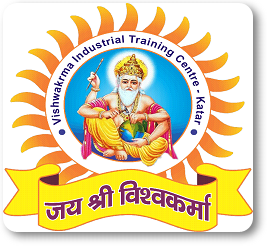 VISHWAKARMA Industrial Training Institute (ITI's) are training institute which provide training in technical field in Bihar. Normally a person who has passed 10 standard (SSLC) is eligible for admission to ITI. This course is introduced to carry domestic , industrial wiring , installation of different types of Low & Medium voltage machine and control panels . Toe rectify the fault of different kinds of lighting & fitting s. To operate different types of AC/DC motors and electric trainer machines .Trained young men can seek their job in electricity board , railway ,BHEL,LT/LK , Simens etc. The requirement of trained fitters in increasing day by day by industrial organization of govt . Private sector . New industries are being started in developing countries when new vacancies are created in huge quantities . Trained young men can seek their job in Tata Motor , Ashoka Leyland , Car industries , Motor Cycle industries , HAL ,SAIL, Railway etc..
Vishwakarma iti having entire range of tools and kits. Vishwakarma iti provides a full functionality of work shope. Sign in to manage our website!